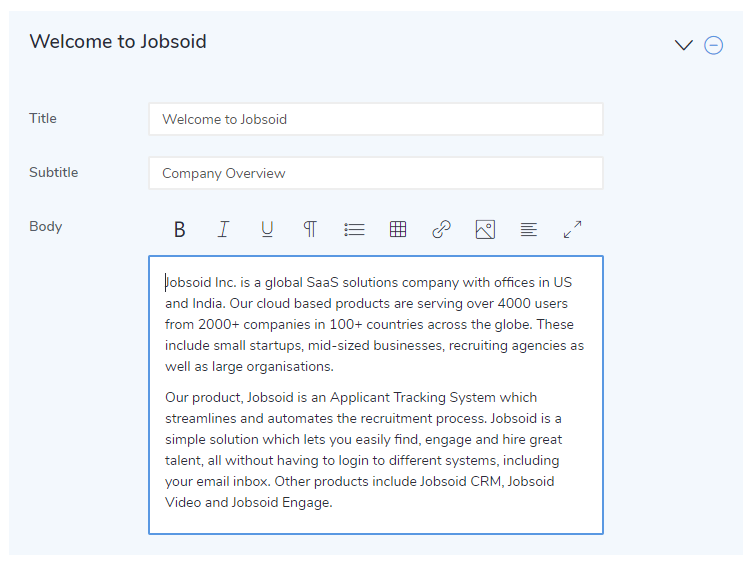 Jobsoid allows you to customize your careers portal in the manner you want. 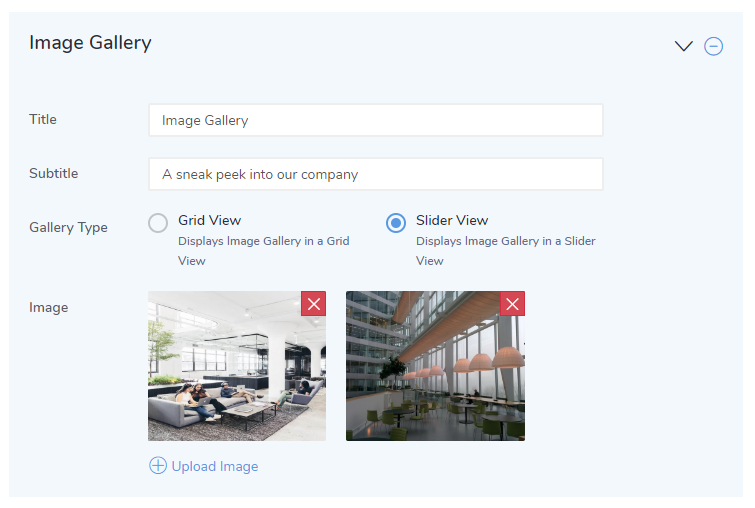 Design your branded careers site with engaging content, organized job listings and beautiful image galleries. You can style it the way you wish to. You can apply various formatting styles, add bulleted lists, add data in table format, add links and insert images. You can also re-arrange the sections on the portal pages. To do so, set the Rearrange Toggle to ON and drag-drop the sections to rearrange them. 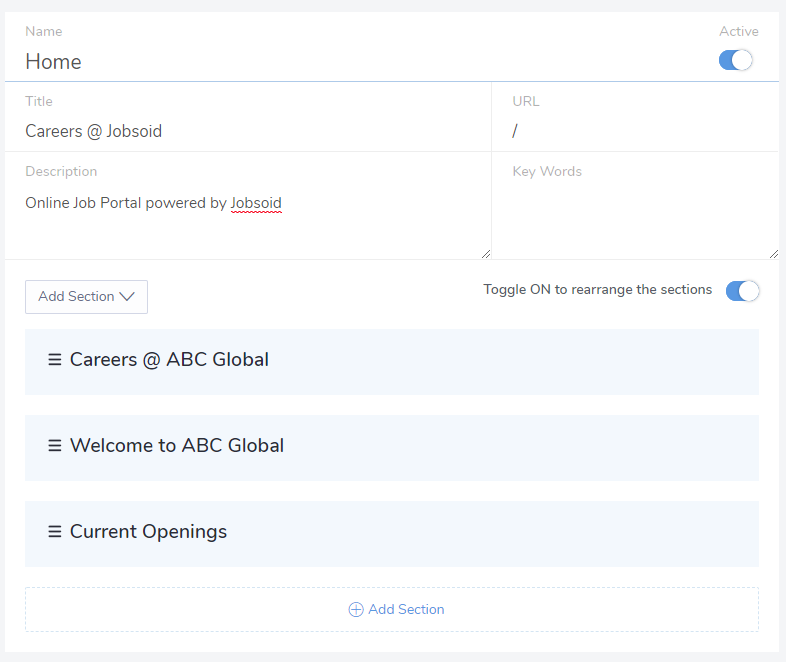 You can add all the sections on the same page or create individual pages for each section type. 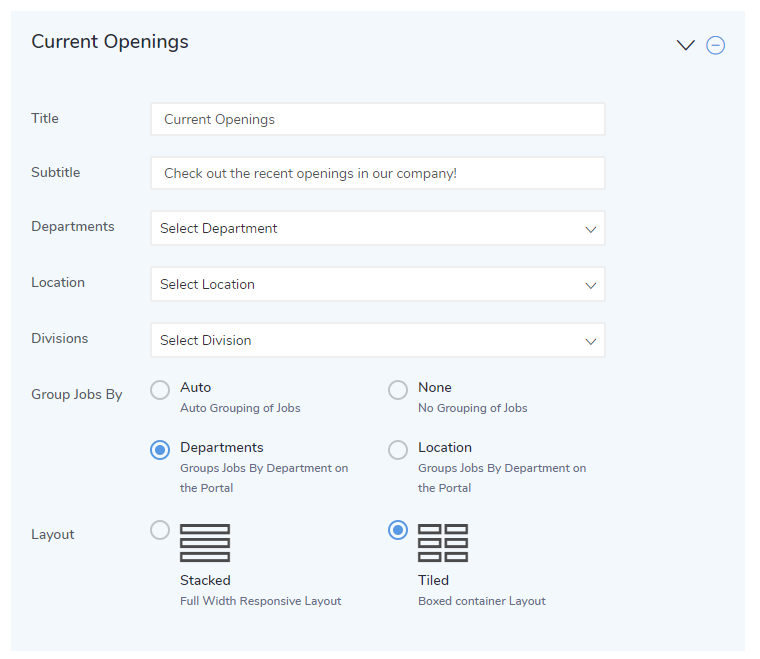 There are no restrictions if you include multiple sections belonging to a particular section type on one portal page.